Generally clear skies. Low 36F. Winds NW at 5 to 10 mph..
Generally clear skies. Low 36F. Winds NW at 5 to 10 mph. Rep. Michele Hoitenga is seeking re-election to the 102 House District, but first she\'ll have to win the Republican primary. 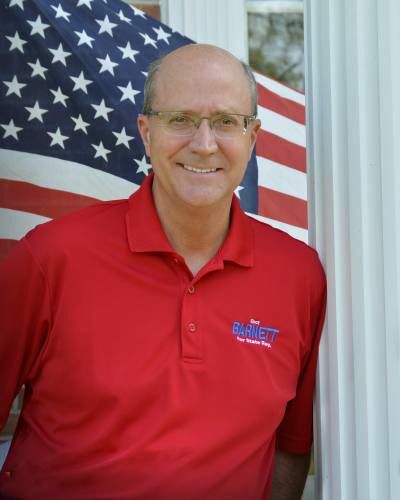 Bill Barnett is seeking the Republican nomination for the 102 House District. CADILLAC — On Tuesday, you'll see a couple of familiar names on the Republican ballot for the 102 House District, which represents Cadillac and other communities in the Michigan House of Representatives. Michele Hoitenga of Manton, who currently holds the seat, is being challenged by Bill Barnett of Cadillac, a former mayor of the city. Voters will decide in the August 7 primary which Republican to send to the general election in November. Here are there responses to the Cadillac News's questions about their qualifications and candidacy. 1. Why do you want to represent this district in the Michigan House of Representatives? I initially ran for state representative in 2016 because laws were negatively affecting my own household. My health insurance rates skyrocketed, our family business was stagnant, and my son was in the military at a time when the military was being dismantled. I can honestly say our families are better off now than we were two years ago. I want to continue the work that we started, including lowering auto insurance premiums, lowering taxes, and getting broadband to unserved areas of our district. I have been highly accessible and transparent during my time in office and was recently recognized as a top-rated legislator for opposing cronyism legislation. In addition, my bill (HB4636) was honorably named the best anti-female genital mutilation legislation in the nation. I’ve proven to be an effective leader and to achieve this level of success, it required mutually respectful relationships amongst constituents and colleagues. 2. Describe your educational and professional background. I graduated from Buckley High School and attended Northwestern Michigan College before going on to earn a Human Services degree from Baker College. My family and I have attended Buckley Tabernacle Church my entire life. My husband and I established PhD Consulting, a successful energy consulting business. Seeing local opportunities for improvement, I served as Treasurer and then Vice President of the Manton Chamber of Commerce all while serving as the Vice Chair of the Wexford County Republican party. I was elected as Mayor of Manton in 2013 where I continued to strengthen and build new relationships within the community. Volunteering at nonprofit organizations has also been a big part of my life, and I’m especially passionate toward veteran organizations. I have served as State Representative since 2016 and will continue serving in this capacity with great boldness, effectiveness, and transparency that the people of the 102nd deserve. 3. Do you consider yourself a Trump Republican? What is a Trump Republican? Trump supporters are fed up with politicians and politics as usual. We support our president because he boldly tackles the tough issues that have long been previously ignored. His asteroid-like impact on the government swamp has caused people who are tired of the status quo, to have an optimism that had been lost. We cannot ignore the facts that our economy is booming as a direct result of President Trump’s policies. A Trump Republican is someone who believes in American business and a global economic renewal, policies that promote job growth, improving America’s infrastructure, a strong and robust military, protected borders, growing our state’s economy, and an intolerance for fake news. Therefore, Yes, I am a Trump Republican. 4. What do you consider to be the proper role of state government? This question remains the most fundamental question in all political conversations, especially for me when determining legislation to be voted on. I favor the ideology that less government equates to more freedom. However, government functions should include protecting and defending against internal and external threats, maintaining proper infrastructure, providing a quality education, and caring for those who cannot care for themselves. We’ve seen time and again that overly bureaucratized systems grow out of touch with the people they seek to help and this needs to stop. When legislation is in front of me to vote on, I ask three questions: Is it constitutional? Is it necessary? Is it a role of government? 5. What is the most pressing issue facing the district and how do you intend to address it in the House of Representatives? I have knocked thousands of doors speaking with folks around the district and it is clear that reforming Michigan’s auto no-fault insurance laws are a top priority amongst the people I represent. The cost of owning a vehicle in Michigan is exorbitant from the registration fees to the auto insurance. People who are living paycheck to paycheck are having to choose between making a house payment or driving a vehicle legally. I have consistently been an outspoken opponent of the current system and I will continue to fight for reform. There are so many things we can do to drive premiums down that include; creating transparency in the catastrophic claims fund, coverage level options, limiting attorney compensations, and so forth. I sit on the insurance committee for the sole reason of fighting for lower auto insurance rates and I will not stop until we have achieved that goal. 6. If voters decide to legalize recreational marijuana, what should the legislature do next? If voters decide to legalize recreational marijuana, it is up to the legislature to assure its safe production and proper retail sale safeguards. Safety will be a critical concern as to its purity and legal retail sale. The legislature needs to assure that the taxes derived properly benefit the local communities. We must also be vigilant on its effects on the safety of our roads and communities and act in response to any signs of danger. Any effort to amend the ballot initiative as it is currently written will require a two-thirds majority in the house of Representatives to pass. That means Democrats and Republicans must diligently work together to achieve some resemblance of responsible legislation. 7. Should legislators’ offices be subject to the Freedom of Information Act? Why or why not? Absolutely yes, and that is why I voted in favor of House Bills 4148 to 4157 which provide FOIA transparency. These bills passed the House of Representatives and are currently sitting in the Senate. However, I do not believe personal proprietary information should be included in the Freedom of Information Act report. Hundreds of people contact my office who are in need of serious help for things ranging from issues with state departments to mental health issues. People trust our offices with a lot of personal information and that confidence should not be broken. In order to represent effectively we need to have a strong connection built on trust with our communities while simultaneously allowing transparency in the governmental capacity. 8. Have you ever been convicted of a misdemeanor or a felony? If yes, please describe. I will represent the people of this district and not the financial interests of outside lobbyists, special interests, PACs or major donors. I will not have financial conflicts of interest stemming from these groups and will not answer to anyone but our local citizens and their interests. I will never accept these re-election monies or accept the single-issue endorsements. Both require allegiances to outsiders and not the everyday constituents in the district. Citizens from law enforcement, road commissions and education have asked me to run and all feel I have the knowledge, skill and experience to do the job. They are very disappointed in our current legislator for not listening or protecting public safety, local interests or education. Our representative has not delivered on the income tax roll-back, auto insurance reform or rural broadband. I will not bend on the support of family values, faith, life or the Second Amendment. 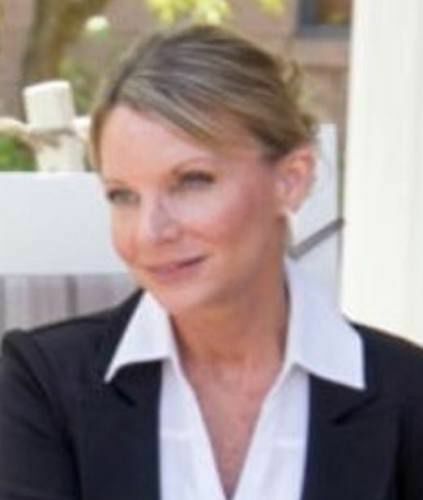 I am a 1977 graduate of our Cadillac High School(CAPS), a 1981 graduate of MSU, with a Business degree major and a Pre-Law minor, and a 1986 graduate of the Detroit College of Law. I have been an attorney practicing law throughout Northern Michigan since late 1986. I have dedicated my professional life to representing and helping others of all ages with complex legal matters in the areas of family, criminal, probate and business. I have also represented this area as an elected official for more than 17 years, as a Cadillac City Council Member(4 years), a Wexford County Commissioner(7years) and as the Mayor of the City of Cadillac(6 years). I will use that same education, legal background and leadership experience in Lansing to improve state government and the services it directly provides in this district. I have worked with Michigan laws my entire professional life. Yes. I voted for President Trump and placed his sign in my front yard during his election. My neighbors, who quietly thanked me for doing so, also supported him in the 2016 presidential election. I knew the day we voted that he was going to win the presidency because of the people voting for the first time. People were tired of government as usual and wanted somebody to finally take a stand on issues and not simply follow the party establishment. There is a strong element of patriotism with Trump Republicans and a legitimate frustration with national security matters. I strongly support his federal tax cuts and his efforts to bring attention to the opiate addiction crisis in America. His methods are awkward and he has stumbled in some very serious ways but no one can deny the results he has produced in the economy and at the Supreme Court. State government should provide services that protect the health, safety and welfare of all Michigan residents. The state should work together with municipalities at all levels and coordinate the overall framework for the most cost-efficient and citizen-friendly government possible. State government should also be open, honest and transparent at all times. I support local control whenever possible and oppose state mandates that are not funded from Lansing and become the financial burden of local taxpayers. Lansing has lost touch with our district, as too much time is spent with statewide lobbyists and downstate party leadership. We have lost our constituent voices. Our representation should be listening to us and be free to stand up against campaign contributors, endorsement interests and the influence of other out-of-district special interests. Our state needs independent legislators who are not told what to do, or controlled by party leadership. It’s time to drain the swamp. Roads and infrastructure are the state’s number one financial priority right now. We need to spend a greater and more consistent level of tax dollars every year if we are going to catch up on our crumbling streets and bridges, i.e., at least 2 billion dollars every year. This area of the budget has been seriously underfunded for decades. It will take at least twenty years to ever catch up. Legislators recently found themselves with a 500 million dollar surplus in next year’s budget and only put 60% of that into roads and infrastructure. No tax cut was provided from that surplus and no long-term plan was put in place to solve this statewide problem. Our district needs to receive our fair share of these monies and they need to come directly to the road commissions and municipalities so that we have local control of the planning and spending. Our district does not support the legalization of marijuana. Our legislators were told by their constituents to vote “No‘ on the legalization issue and then campaign against the November ballot item. There was no vote taken at all and therefore no message was sent back to our local communities. The legislators were also encouraged by some citizens to go ahead and pass the item and then clamp down on the rules in the lame duck session, so some reasonable state control could have been implemented or phased in on this divisive issue. The legislators did not do their job this summer and seemed in a big hurry to get back to their districts to campaign for their jobs. Now it will take a 75% majority in each house to tighten up the restrictions needed once this liberal marijuana proposal passes in November. All polls have it passing at 60/40. Absolutely yes. It is the only way to review whether our legislators are remaining open, honest and transparent in their jobs. Much of what happens already, goes on behind closed doors. There is no way to really follow the development of legislation, the horse-trading between districts or the politics of the arm-twisting that goes on outside of the eyes of the public. The Senate Majority Leader log-jammed this FOIA bill and refused to give it a hearing, discussion or a vote. The House of Representatives approved this and should be commended for doing so. All other state offices below the legislators’ offices are subject to the FOIA, so why wouldn’t the legislators as well? This would also insure that our legislators are independent, ethical and accessible in their office dealings. It worked very well during my 17 years of being an elected official. Let’s let the sunshine in! Yes. I was convicted by plea of a use of a controlled substance misdemeanor in February 1997. I took full responsibility for my addiction, sought rehabilitation counseling and made a full recovery. The charge itself went back to 1994-1995, almost a quarter century ago. My life was saved by these embarrassing circumstances and I have many to thank for supporting me through this difficult period in my life. Since that time, I have been elected to public office seven times including three times as a mayor and am truly appreciative that this community gave me a second chance to be a trusted and productive citizen. I know of no other state representative candidate in the State of Michigan who is more familiar with the pain and suffering that accompanies addiction or is more qualified to approach the opiate addiction crisis that is killing American citizens at an alarming rate.